Private Money Lenders are non-institutional lenders that issue short-term loans for the purchase of, and sometimes the renovation, an investment property. They’re commonly known as “hard money lenders.” These private money lenders offer private money loans to short-term fix-and-flippers as well as long-term investors looking for a rehab project, quick funding, or cash-out refinancing. Looking for a private money lender to finance your next real estate investment? LendingHome offers competitive rates for prime borrowers with no prepayments penalties. You can get funded in as little as 15 days. Prequalifying online takes just a few minutes. Private money lenders typically offer loans that are secured by a real estate asset. These loans are used to purchase a house, condo or multifamily building. Private money lenders can be anyone from a personal friend to an established private lending company and are therefore called “relationship-based” lenders. However, when people think about private lenders, they’re most typically referring to hard money lenders. This is because hard money lenders issue short-term real estate loans used to purchase and renovate an investment property. Hard money loans are good for both short-term fix-and-flip investors as well as long-term buy-and-hold investors. We discuss who private lenders are specifically right for in the section below. Still, there are technically three degrees of private lenders. Each of the three degrees is based on the relationship between the borrower and the lender. Hard money lenders are considered to be “third-party” private lenders, which is the furthest away from a borrower in terms of relationship. However, hard money lenders are considered the best private lenders because they’re the most reliable and have standardized interest rates, costs, fees, and loan terms. In this article, we specifically discuss hard money lenders as private lenders. This is because hard money loans typically have short loan terms between 1 – 3 years, interest rates between 7% – 12%, and lender fees between 1.5% – 10%. 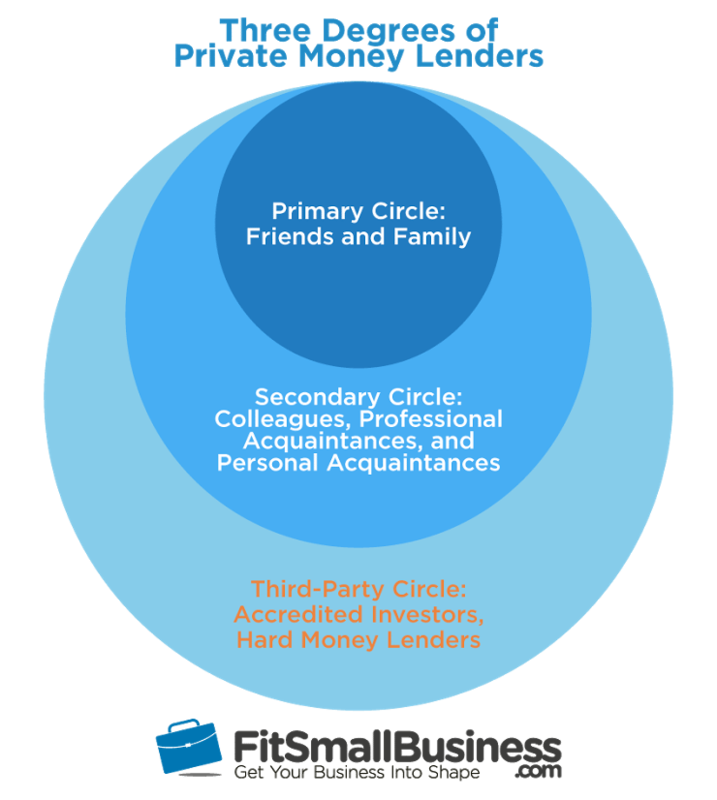 Conversely, private lenders in a borrower’s primary or second-degree circles have loan terms, rates, and costs that vary widely. If you’re looking for a private lender in your state, check our national directory of private lenders. Private money lenders are predominantly right for short-term fix and flippers who want to compete with the short timeline of an all cash buyer. However, private loan lenders are also right for long-term investors who want to rehab a rental property before refinancing into a permanent mortgage or seasoning a property before refinancing. Fix-and-flippers looking to purchase, renovate, and sell a property within 1 year. Short-term and long-term investors who need financing quickly. Buy-and-hold investors looking to purchase and renovate a property before refinancing with a conventional mortgage. Long-term investors who can’t qualify for a conventional mortgage, 203(k) loan, or HomeStyle Renovation mortgage, but plan on refinancing once they meet qualifications. Private lenders often issue loans to short-term investors looking to make money flipping houses. Private lenders also issue both rehab loans as well as traditional hard money loans to buy-and-hold investors looking to purchase and/or renovate a rental property. A property’s LTV ratio is a loan amount based on a percentage of its initial purchase price, similar to a conventional mortgage. A property’s ARV ratio is a loan amount based on the expected fair market value (FMV) of a property after renovations are completed. It’s therefore common for private lenders such as hard money lenders to issue loans based on LTV for a property in good condition and loans based on ARV for a property in poor condition. Purchase hard money loans are based on LTV while rehab loans are based on ARV. The interest on a private money loan is typically assessed as interest-only payments. This means that private money borrowers pay monthly interest throughout the term of the loan and then make full repayment at the end of the loan. 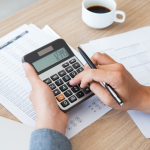 Some lenders charge prepayment penalties if the loan is paid off before the due date while most don’t let you pay early and reduce your holding costs. Monthly payments aren’t amortized like a conventional mortgage. However, while the interest rates on a private money loan might be higher than when compared to a conventional mortgage, the monthly payments might actually be less. This makes private money loans a great option for fix-and-flippers looking to reduce their holding costs while they prepare a property for sale. It also makes private money loans advantageous for buy-and-hold investors since the monthly payments don’t cost much as they look to refinance with a conventional mortgage alternative. Private money loans can have terms anywhere from 1 month to 3 years or more. However, when a borrower works with private lenders such as hard money lenders, loan terms are between 1 – 3 years. Most hard money lenders try to keep their loans to a 1-year term. Hard money lenders also might have prepayment penalties, which force a borrower to make all of the agreed monthly interest payments. This allows investors to compete with all-cash borrowers and close on a house quickly. There is no limit to a number of private loans a borrower can take out. Further, hard money loans can either finance a house in good condition or finance the purchase and renovations of a house in poor condition. You can generally find private money from 3 different sources. These include friends and family, businesses and personal acquaintances, accredited investors and hard money lenders. You know where to find your friends and acquaintances so we’re going to show you where to find private money lenders. The reputable lenders are usually online. You can find their contact information on their site, as well as their application process and what types of loan products they offer. For a more thorough look at hard money lenders, check out our guide on the best hard money lenders 2018. If you’re looking for a local private lender, take a look at our hard money lender directory. Now that you know where to find private money loans, you should know a little about the application process and what to be aware of. This is important so you can ask private money lenders the right questions, like if they have a prepayment penalty. You can also effectively budget for the financing fees. Private money lenders like hard money lenders usually state their years in business and the number of loans they’ve issued. You’ll typically want to work with a lender who’s done more than 100 deals, and you can find this information directly on a lender’s website. Some hard money lenders, such as LendingHome, also state their available capital, which is a good indicator of experience. LendingHome has over $1 billion in available capital. Private lenders often specialize in a specific area of real estate. LendingHome, for example, only issues residential hard money loans, while other lenders such as Patch of Land offer loans on both residential and commercial properties. Make sure that you’re working with a hard money lender who specializes in the type of property you’re looking to finance. The interest rates and costs of a private money loan vary widely and are largely dependent on the specific lender. Remember that typical interest rates are between 7% – 12% and the typical lender fees are between 1.5% – 10%. However, you can find hard money lenders with a maximum fee of 2.5%. It’s always best to see what the lowest available interest rates and fees are for a private loan. Remember that some private lenders also have penalties for prepayment. The penalty is often based on a percentage of the loan balance upon early repayment. Other lenders require that borrowers pay off all agreed interest payments as a penalty for prepayment. It’s important to work with a lender that doesn’t have a prepayment penalty, giving you the borrower more repayment options. Regardless of which private lender you choose, all of them usually have similar loan application processes. We talk about the general application process for a private loan in the section below. Pre-qualification – This phase takes as little as 3 minutes. It’s a quick approval process that gives a borrower a general understanding of their private money loan options. Funding – This phase takes between 10 – 15 days to complete. It’s a longer process whereby private lenders gather more in-depth borrower information to finalize a private loan’s costs, rates, and terms. Private money lenders typically use pre-qualification to give borrowers a general idea of their potential loan options. LendingHome, for example, uses this stage to help private money borrowers compile their loan options, compare different offers, and assess their financing choices. After seeing the potential loan size, costs, fees, and terms, borrowers use the information to set a maximum budget and move forward with the initial purchase agreement of an investment property. This pre-qualification phase is also when a preapproval letter is drawn up by the lender and the borrower can use it to present to the seller with their offer on the home. It shows that the buyer is qualified and able to afford the property, so it represents a stronger offer than one without a preapproval letter. Personal credit score: 550+ (you can check your credit score for free here). Answers to basic questions: Which include things such as the desired property address, expected offer amount, and more. Based on the borrower information, private lenders such as hard money lenders give borrowers a list of private money loan options. This gives investors the chance to negotiate a sales price and begin closing on a real estate deal. Private money loans are approved and funds are issued during the funding phase. This phase requires borrowers to give their private lender additional and more specific information in order for the lender to make a final decision. Often times, this phase is used to assess a borrower’s experience as a real estate investor as well as their choice of a rehab contractor, if any. The funding phase is more stringent than the initial pre-approval or pre-qualification stage. The lender thoroughly evaluates the buyer’s financial standing by reviewing all of their submitted documents in depth to decide if they’re worth the ‘risk’ of lending them money. They also evaluate the property, including its location, condition and potential ARV value. Purchase Contract – This contract outlines the specifics of the purchase agreement between buyer and seller. List of Past Projects – Private money lenders will require a list of past rehab projects for any type of renovation project. Contractor Bids – Private money lenders require that inexperienced rehabbers work with a contractor and want to see contractor bids as part of the application. 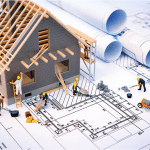 Scope of Rehab Work – For rehab projects, private money lenders require a scope of rehab work. Appraisals – Some private money lenders require borrowers to pay for a third-party appraisal, while other lenders conduct their own appraisals. Fees and Upfront Costs – Borrowers are expected to cover any upfront fees and costs and are taken out of the initial loan amount. Private money loans are advantageous for investors who want to quickly purchase and fix up an investment property that’s in distressed condition. Their quick pre-approval process and fast funding time are two of their main advantages. However, they have their disadvantages too, such as higher interest rates and short loan terms. Low Credit Qualifications – Third-degree private lenders, such as hard money lenders, have a minimum credit qualification typically around a 550 personal credit score. You can check your personal credit score for free here. Fast Approval/Funding Process – Private money loans can be approved and issued in as little as a few days. Hard money loans, for example, typically take as little as 3 minutes for prequalification and 10 – 15 days to receive funding. Rehab Financing Available – Private lenders like hard money lenders offer rehab financing. For example, hard money loans such called rehab loans finance the purchase and renovation of a property together as a single loan. This is in contrast to conventional mortgages, which require a house be in good condition prior to financing. Shorter Payback Periods – Private lenders often require shorter payback periods when compared to conventional mortgages. Typical hard money loans have terms between 1 – 3 years, although it’s not uncommon to see a hard money loan with a 3 – 6 month payback period. Potential for Higher Costs – Private lenders typically charge interest rates between 7% – 12% or more, which is more than the 4% – 6% found with conventional mortgages. Further, private lenders sometimes charge lender fees as high as 10%, charge for an independent appraisal, as well as assess fees for prepayment. The best use for a private loan is for a fix and flip project. Fix-and-flippers often seek short-term financing options that allow them to purchase, renovate, and sell a property within a year or less. However, long-term real estate investors who invest in rental properties can also benefit from private money loans. Private money lenders are generally best for fix and flippers who are considered short-term investors and long-term buy and hold investors who hold properties and rent them out. 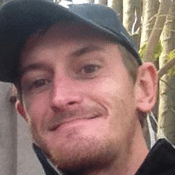 Short-Term Fix-and-Flippers looking to purchase, renovate, and sell a property within 1 year. Buy-and-Hold Investors looking to purchase and renovate a rental property before refinancing with a conventional mortgage. Long-term buy-and-hold investors, such as landlords, use a hard money rehab loan to purchase and renovate a property before renting them out to tenants long-term. They are even used to finance multifamily properties when renovations are needed because conventional mortgages often don’t fund renovations. To circumvent this problem, buy-and-hold investors use a private money loan to purchase and renovate a property. Afterward, they find tenants to fill the property and then refinance to a conventional mortgage to pay off the private money loan. Investors Who Don’t Qualify for Conventional Mortgages and need a short-term alternative while they increase their personal credit score. Private money loans are good for both short- and long-term investors in need of quick financing to compete with all-cash buyers. In this case, investors use a private money loan to purchase a property before refinancing to a conventional mortgage at a later date. Private money loans are also used by both short- and long-term investors who cannot qualify for conventional mortgages. When this is the case, borrowers use a private money loan to purchase a property and wait until they qualify for a conventional mortgage before refinancing and paying off the private loan. This is because these types of properties tend to move quickly and investors often have to compete with all-cash buyers. The quick prequalification time and time to funding of a hard money loan allows investors to purchase these types of houses. Private money lenders are non-institutional banks that issue private money loans secured by real estate assets. Private lenders are often referred to as hard money lenders, and private money loans are used to finance the purchase and renovations of investment properties. For more information on hard money loans, check out our articles on hard money loans and rehab loans. Remember, you can prequalify online for a 12-month mortgage from LendingHome in just a few minutes. If you’re ready to take the leap on an investment property, visit them today and get your funds in as little as 15 days. Great article on Private Money Lending! I really liked the thorough list of pros and cons. I have also used private money lending for equipment leasing and business loans which have been a great help when banks are not able to fund. Thank you for the great article! It sounds like you’re dealing with a frustrating situation! As a place to start, check out our National Directory of Private Lenders. 1) In most cases private lenders are willing to do 80% LTV, but can i bring in another conduit loan that can cover additional 15% and then i put 5% down? 2) can you pls point towards the private lender such as phone no that i can speak to? any suggestions? Thanks for submitting your questions. Generally, private lenders and really any lenders want to see that you have some ‘skin in the game’ so they would want the downpayment to come from your personal funds from working, savings etc and not from another loan. However, you may be able to purchase the property and then take out an investment property line of credit if there’s enough equity in the property, but this would be after you buy it. You can contact Visio Lending here. If I borrowed $150.000 from a private lender @ 10% interest. With a 12 month hold time. Home much interest do i pay monthly for the term of the loan. Thanks for coming to our site and asking a question. I would recommend using a mortgage calculator to help you with your calculations. Also, take into consideration if the loan is interest only, like most hard money lenders offer, or if it’s a more typical interest and principal loan. I’ve included a link to our hard money loan calculator. Check back on our site because we have more content coming soon including other free calculators such as a cash out refinance calculator. Well written page Allison. Other than the “LendingHome” advertisement… I would like to link my “I want to be a Private Money Investor” to this page. I feel it is probably the most unbiased write up I have seen in a while, with respect to the advert for LendingHome. LOL. Thanks for visiting our site and I’m glad you enjoyed the article. I will pass on your information to our business development team to discuss potential partnerships.